When clients ask us to show them cutting-edge window fashions, we often go straight to Skyline Gliding Window Panels from Hunter Douglas. 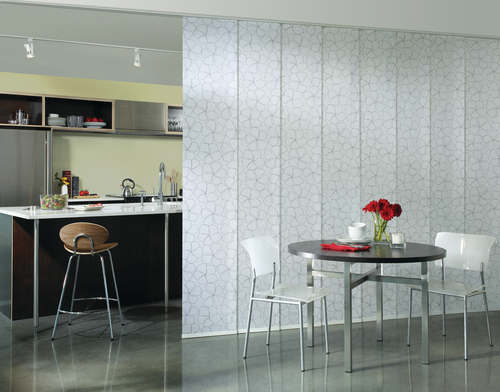 Contemporary, unique, and versatile, these window treatments are popular and innovative, especially to cover large openings or when used as a room divider. With a look inspired by European designs, Skyline Window Panels combine traditional and non-traditional design elements for a truly unique look. 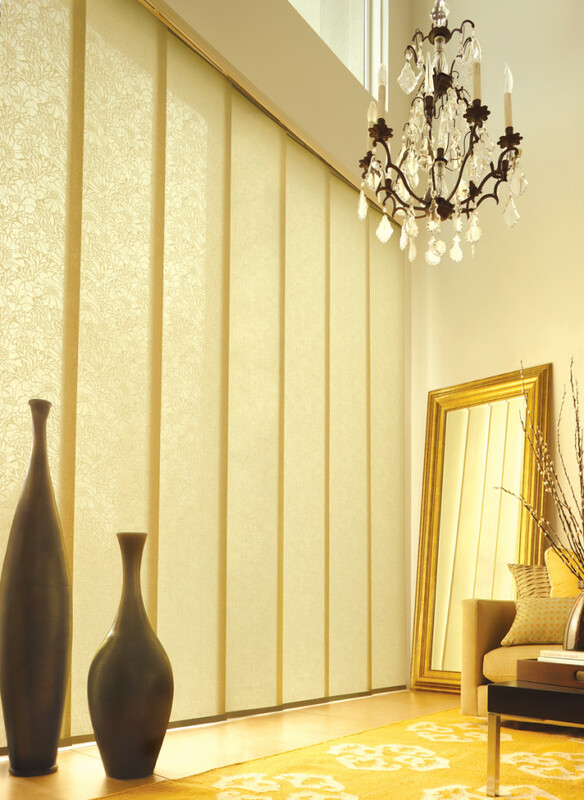 Available in a variety of textures, patterns and fabrics, Hunter Douglas Skyline Gliding Window Panels set a new standard in modern window fashions.